The fascination with negativity and self-hate is creating an artificial but widely accepted false narrative that everything in Zimbabwe is going backwards and that Zimbabwe is at its worst time. Whilst we suffer from the pangs of sand dunes which are finding their way into our sacks of mealie-meal — thanks to those that claim bragging rights for sabotage, and causing untold suffering — the fundamentals that are needed to turn our country around are being put in place. We constantly hear that Zimbabwe has a great potential. But Zimbabwe should not remain just a potential. The promise which our country gives to citizens has to be realised. We have 11 years for that to happen and we are on our way there. President Emmerson Mnangagwa's Vision 2030, which envisions an Upper Middle-Income Economy by 2030, is slowly but surely taking shape under the radar. The Transitional Stabilisation Programme (TSP), whose prime focus is the stabilisation of the economy between 2018 and 2020, will act as a springboard for successor two five-year economic plans that will culminate in the realisation of a prosperous Zimbabwe by 2030. The sideshows by political anarchists, which are aimed at sabotaging, "kudira jecha" in local parlance, are instructive. One does not sabotage an economy characterised by inertia or regression, one can only sabotage a progressing economy. This is the untold story of the Zimbabwe situation. The anarchist politics witnessed in the country is aimed at disrupting Government's recovery, reform and re-engagement programme under the auspices of the moniker "Zimbabwe Is Open for Business and Dialogue." Zimbabwe has already invested very much in its people. Now it has embarked on several projects which are the composite building blocks to our economy. Let's look at the $4,2 billion Karo Resources platinum and chrome investment. Karo has used a systematic approach in operationalising this project. They started by making sure there is enough energy to drive the project, which demands a lot of it. In this regard, Karo Power, a subsidiary of Karo Resources, is carrying out Grid Impact Study to construct a 300-megawatt solar power plant and a 300-megawatt thermal power station that will be used to power operations and pump some of the electricity onto the national grid. On the mining front, there is also progress. Drilling and exploration is in process. Digital mapping for resource quantification by Karo Platinum and Karo Chrome is almost complete. Platinum samples have already been sent to South Africa for testing. Chrome samples are about to be sent to South Africa as well. These processes will pave way for mining to commence this year, 2019. Another big project in Mashonaland West is the $2 billion Great Dyke Investment (GDI) platinum mine. Russia has unlocked $300 million that will trigger implementation of this platinum mining venture in Darwendale. The money is ready for draw down. The employment potential of these two projects alone is going to change the complexion of Mashonaland West. The devolution concept will be followed and locals in Mhondoro and Darwendale will get priority on menial jobs. The export earnings in terms of foreign currency will go a long way in ameliorating the foreign currency challenges currently affecting the economy. The $5,2 billion Batoka Gorge project is a joint venture between Zimbabwe and Zambia. It is being implemented under the auspices of the Zambezi River Authority (ZRA). The main contractors are General Electric and Power China. The project is in its initial stages of implementation, with modalities being set among the four parties, which are Zimbabwe, Zambia, financiers and contractors before being rolled out soon. The project will produce 2 200 MW of electricity upon completion, making Zimbabwe not only energy self-sufficient but also an energy net exporter. The Ministry of Information, Publicity and Broadcasting Services is leading the $173 million Digital Broadcasting Migration Project. This project will see improved reach, quality and increased number of television and radio channels. This is a project of immense national interest. Projects of this magnitude do suffer from challenges such as cost overrun, scope and time, but Government has kept the cost of the project under control. It is the time which has been an issue principally because of a constrained forex availability. But despite these well-documented challenges that have seen this project take a much longer period than planned for, the project has been run creatively and in a disciplined manner. So far, $63 million has been expended on building two out of six digital television studios, a Master Control Room, Playout System, Headend and Satellite Uplink terminal at Pockets Hill. Forty-eight electronic news gathering camera sets for content production were also purchased. In addition, 16 existing transmitter sites have been digitalised. In terms of new transmitter sites, 11 out of 25 new transmitter sites have been constructed. Five FM transmitter sites and four radio gap filling transmitters have been installed. Further to that, a Regulatory Content Monitoring System has also been completed. Government has also installed seven remote stations in areas with local commercial radio stations. Going forward, $38,3 million has been allocated to progress the project in the 2019 National Budget. In 2019, Government has set aside $2,6 billion for infrastructure development, of which $1,1 billion will be from the 2019 National Budget, while $1,5 billion is off-budget financing through public entities. 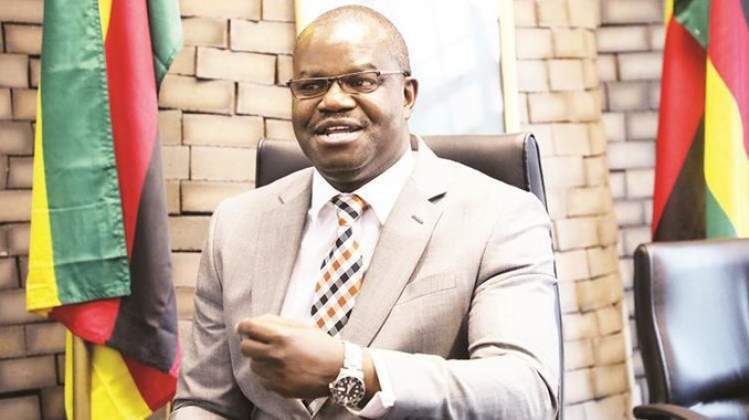 As it is, Government has facilitated off-budget loan financing for 2019, amounting to $969 million, which has been disbursed for ongoing works at Hwange 7 and 8 Thermal Power Station ($350 million). The Harare-Masvingo-Beitbridge Road Upgrading Project ($250 million) is in full swing but covering it in this instalment will do it an injustice as there is a need to explain the decision why Government has opted for widening the road in places and dualising it in others. There is also a need to explain why the Government has chosen to localise this project with the lead institutions being Zimbabwe National Roads Administration (Zinara), District Development Fund and Central Mechanical and Equipment Department (CMED). The benefits to local companies will also be covered. There is also a need to cover the National Railways of Zimbabwe (NRZ) recapitalisation ($216 million) and RGM International Airport ($78,2 million), which projects are also already underway. But for this week, it is better to finish by writing about the efforts to improve our ease of doing business environment. On the ease of doing business front, Government has taken the first steps to improve the business operating environment in Zimbabwe by addressing the administrative, legislative or regulatory bottlenecks that affect investment. This includes improving the performance of all Government agencies in order to deliver quality services to the citizenry; and promoting efficiency and value for money, through lowering and eliminating duplicated levies/fees/taxes that are charged by various Government Agencies to existing and prospective investors. There is a total of 13 Bills that have been crafted to amend or introduce new legislation to improve the ease of doing business that are at various stages of the legislative and enactment process, among them the Banking Act Amendment No. 12/2015; Deeds Registry Amendment Bill; Judicial Laws Ease of Settling Commercial Disputes bill (combines three bills); Shop Licencing Amendment Bill; Insolvency Bill; Movable Property Security Interest Bill; Estates Administrators Amendment Bill; Companies and other Business Entities Bill; Zimbabwe Investment and Development Authority Bill; Regional Town and Country Planning Amendment Bill; NSSA Act; Manpower Act; Public Procurement and Disposal of Public Assets Bill. At the heart of challenges to Ease of Doing Business is corruption and its attendant inefficiencies. What happened at the Zimbabwe Anti-corruption Commission (ZACC) will help to re-energise the Zero Tolerance to Corruption efforts. On the legislative front, Government enacted the Money Laundering and Proceeds of Crime Amendment Act and the Public Entities Corporate Governance Act in 2018. Additionally, the Indigenisation and Economic Empowerment Act, which was negatively affecting the business environment was also amended, freeing up investment space for foreign direct investment (FDI). The road to economic recovery will be tough. There must be sacrifices to enable infrastructure development and economic recovery. There must be austerity for prosperity. The rallying call by President Emmerson Mnangagwa for belt-tightening is a recognition by Government that for Zimbabwe to creep out of its economic challenges, there must be sacrifices. In this respect, Government has led from the front, with Treasury cutting salaries of senior civil servants by 5 percent and excluding them from the cushion allowances compassionately given to other civil servants. Government imposed a moratorium on the purchase of Ministerial, Permanent Secretaries and Parliamentarians' service vehicles, while prioritising the purchase of ambulances and other key public service utilities. Block by block; project by project, we are reconstructing and constructing our country towards attaining Vision 2030. We can have the country the country of our dreams if we sacrifice everything else but national interest and principle for it. Nick Mangwana is the Permanent Secretary in the Ministry of Information, Publicity and Broadcasting Services. He wrote this article for The Sunday Mail.